The paradigm has changed. No way he is here 4 years now. Being projected as a lotto pick in the 2020 draft. A very pleasant surprise. Too bad jb isn’t here to enjoy our sub 75 ranked nova type guy. I think he’ll end up a 3 year player, hopefully he doesn’t get big headed (doubtful). NBAdraft.net is crap. DraftExpress doesn’t have him in their top 60 for 2020. He might surprise me, but I don’t think he’ll even test until 2020. Ya I saw off the Phog some poster asking the question about him being a 1st round this year? - -I mean come on – ya he has been pretty dam good - -but 1st round this year? - -don’t see it yet - -let’s not get the cart before the horse - -always room to improve - - like his game out at West Virginia - -they brought out - -he still needs a little bit of time - -I think he is here through next year anyways if he continues to improve. He doesn’t seem like the type of kid that would rush to the league. I think he will want to be fully developed before he declares. He will play 2 years for sure possibly 3. I hope this is the case. If we get to see the Dotson Agbaji duo as JRs, that could easily be one of Self’s best teams at KU. Of course depending on how other things shake out. I thinking that if the core of Dotson, Grimes, Ochai, Garrett and David are here 2 years from now, thats a dangerous dangerous team my friends. As I said I don’t have any expectations going forward this year and next I think we are solid depending on who stays and goes but will look like the team thats a year away. His poise is tremendous. You can’t teach what he shows upstairs. I wish it would rub off on Grimes. Between him and Dotson, we might have the most poised freshman we’ve ever had, sans number 1 ranked recruits. We need a big burly or two for next year, and we will be in business. Self’s most recent comments about this. On Grimes, Self said he challenged him at halftime Saturday. Made him angry pretty much. That may have been the button Self has been looking for all season long. He played well in that 2nd half after that motivation. The question is, how can Self make him mad tonight. If his handles take a jump this off season then LOOK OUT! Silvio is gone unless there is a miracle where he gets to play next year in which case he would stay. Doke’s people will likely want him to start getting pro checks but his gut says Self finds a way to keep Doke for his SR year. KJ staying but says this one is just a guess, no info unlike the others. Mitch and McCormack 100% staying, locked into the program. Where’s Grimes going? Australia? Bosnia? China? Ryan seems to think Grimes is draftable on the premise that some NBA GMs are mouth breathing troglodytes*. *What he really said was that some guys will draft on pedigree, especially in the 2nd round. Assume it was just a bad situation in college and that their organization can get more out of the player. @BeddieKU23 Based on what we have seen many times from NBA gms…I am inclined to agree. @BeddieKU23 He’s never playing the point at KU. But that was true of everywhere on his final list even Marquette with the assumption that he would be OAD. Now year 2 maybe Marquette lets him play PG. Certainly never happening at KU w/ Dotson here. Even Garrett is a better PG at this level. I like Grimes overall still and think if he sticks around he can be a good contributor but if he wants to play PG he will have to transfer or play in a very low level pro league. He’s just…not fast enough. Agree. I would love to see what another year does for him both mentally and physically. I can see a laundry list of things Hudy would do with him during the off-season. I do think he’s just an off-season away from being a different player here. I hope they realize the benefit to staying. Self had him play a lot of pt at USA games and he did pretty good but he just took everyone to the hole. Yeah, he can’t pull that off at the B12 level. Grimes and his folks would have to be among the stupidest people alive if he goes pro. They aren’t loaded but they aren’t poor. He’d be lucky to be the next Selby and get picked late second round and bounce around the G league for a couple of years before disappearing forever. I agree with all of this except Grimes and KJ. I think KJ is gone and Grimes is back. If Grimes stays, with the other guard we signed I see no way Chuck stays and with Braun, I don’t see KJ getting a ton of minutes. @Kcmatt7 Do you see KJ transferring again? Why would KJ leave? Don’t we kind of need him? If Doke and Dedric don’t come back…don’t we need his experience…and can maybe play the 4? Why would Grimes leave for a second round contract? That’s assuming he can play his way into a contract in the league. Why not do that at Kansas where a first round contract is still in play? 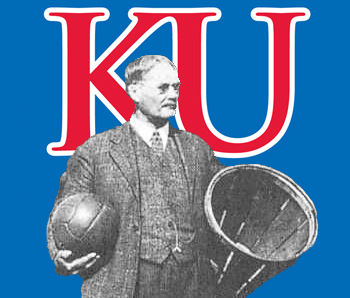 @Hawk8086 if we ever get to the point where we need KJ for more than a couple of minutes at a time, God help Kansas basketball. @BeddieKU23 imo KJ has trended in the right direction and could be a 7th or 8th rotation guy. It depends on what returns. If Dave and Mitch are the only bigs that return and we miss on Hurt, are we going to be able to recruit over KJ? Seems like his leaving would be highly contingent upon Doke and Silvio leaving. @kjayhawks Agree that we wouldn’t want him to be a major player…but a rotational player for 10 mins or so? I don’t see why not. @Hawk8086 I think he’s the worst player on the team that’s scholarship personally. I hate saying it because I feel he does give good effort. Maybe he improves. I have no issue with KJ most of the time. He has his weaknesses as we have all seen. I haven’t seen anything saying so but I’d like to know whether he is on track to graduate this yr given it’s his 4th yr in College. That could factor into his own decision if his brother does leave. We saw how the Morris twins left together. The Martin twins at Nevada stayed even though one would probably be drafted but the other wouldn’t. So theres a history of brothers sticking together and either staying or going as a package. I only gave a few examples but I think its difficult for those who are used to spending every day together and then bam one goes off on their own. Usually doesnt happen from what I’ve seen. Do we even land Dedric if we didnt take KJ? Well said. I’d be fine w/ KJ on the team next year but it feels unlikely. @BeddieKU23 As did, fortunately, the progeny of the evil turncoat Carl Henry. Josh Jackson… Easily my favorite one and done. Probably my favorite freshman player honestly. Apparently from here on out I need to say how bad KJ is (has a big game afterwards). In all reality if we could have either him or Charlie, at least one show up from here on out, it would nice. Moore has ticked me the last two games and has really only had 2 good games. @BeddieKU23 As of this minute , it would be such a HUGE mistake for Q to leave but as we know we are dealing with what? - -18-19 yr old kids at Q’s present time right? - As I and I think most know or have heard the NBA drafts of potential - -so I’m sure that’s in his parents mind AND his. Just a side thought I don’t know but maybe Quentin just has never fully connected or invested 100% into College basketball , totally buying into the idea and had in his head that he wasn’t going to be here after this year anyways , so he didn’t fully connect with the team or program , and when he started to struggle those thoughts became stronger - -frustration grew and now - - - -,? It might have been said, but KJ would leave because he will have graduated already. This is his 4th year in college. So unless he wants his masters, going and making money playing somewhere overseas seems like a good choice for him. I see KJ getting ragged on quite a bit here. IMO, it’s completely unwarranted. What I saw last night, was a calming presence on the court when it mattered most. Obviously it was a team effort, but we do not win that game last night without KJ. I think he could be a solid 6th man next year. In college, he’s a stretch 3. He’s always has played in the shadow of DL and defers to him on the court unequivocally. When he does hunt his shot, he’s pretty effficent. I mean look at the stat sheet last night 16 min 4-6 on the floor, 2-2 from the line, 10 points 3 boards 0 To 0 pf. How is he the worst guy on a scholly? Curious to see what his development would be next year without DL. Regardless, I’d like to see him get more minutes, like at least 10-15 a game. He’s efficient and when the game was on the line, he seemed unfazed by the moment. All I need are some tasty waves, a cool buzz, and I’m fine. @jayballer73 Q in the wrong program? That’s laughable. They’ve been saying the same thing about our top recruits for 20 years or more. Q dominated everybody until he ran into players that were just as athletic, and it exposed him. He has slow feet, and he doesn’t have alot of quickness, which hurts him defending, and hurts him from separating from defenders. Near the end of the first half, he sank a nice fade away …which in my 6th day of the flu recollection, was the first time all year I can remember that he actually did something on his own to create space. HEM compared him to a freshman Wayne Selden, and I think that is a very favorable comparison towards Q. Even Wayne shooting the bolo shot from behind his head was more accurate than Q. In my limited basketball strategery, it appears he doesn’t do anything without the ball, and when he does get the ball, he fires away without being set, which makes his shot go long on practically every shot. i mean…let’s get real. If we had built our entire offensive approach around Q from the get-go, would we even have a winning record? The way I look at it is if Q doesn’t have the ability to look honestly at the results, and realize he needs another good year at least in college in order to even sniff time in the NBA, then he probably wouldn’t listen enough to do the things he needs to do to get better at the college game. So, it’s a grow up or die moment, imo.